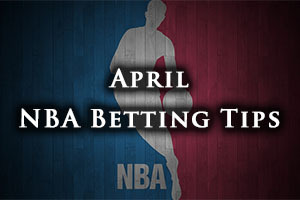 Betting in the final days of the NBA regular season is often a difficult challenge. This is because some teams have nothing to play for, some teams want to rest players and some teams are desperate for a win. Some sides play better when they are relaxed and some teams wilt under pressure. This is why you need to tread carefully at this time of year but there are NBA betting opportunities available for punters. On Sunday, the Celtics scored a 117-78 win against the Cavs and the Pistons managed a strong 116-77 win against the Hornets. The Pacers also grabbed a win, defeating the Thunder by a score of 116-104 while the Rockets edged the Pelicans in a game that finished 121-114. The Lakers slipped at home 106-120 to the Mavericks. The Bucks were solid in a 96-73 home against Brooklyn while the Nuggets defeated the Kings 122-111. The Wizards beat the Hawks 108-99 and the Spurs defeated the Suns by a score of 107-91. The Clippers don’t really know what is going on with their playoff hopes or who they could end up facing but to be honest, they are not the only team in this position. This is why the Clippers need to just focus on themselves and they will be looking for a sixth win in a row against the Nuggets on Monday night. This will be their final home game of the regular season and they will be looking to end this part of the campaign in style. The Clippers added to the confusion on Saturday but defeating the Grizzlies by a score of 94-86. This meant that there could be a three or four way tie with the Grizzlies, the Spurs and the Rockets, which means that there will be plenty of head-scratching as we conclude the regular season this midweek. The Clippers are currently in a position where they can finish anywhere between 2nd and 6th, and they will clearly be looking to finish as high as they possibly can. With a trip to Phoenix on Tuesday, it may be that the Los Angeles side makes some changes and attempts to rest players but with Chris Paul having played in every game so far this season, he will be in no mood to step down. There is also a lot to be said for focusing on getting Jamal Crawford up to speed for the playoffs with the player still finding his feet and form after being absent with a calf injury. The Nuggets hold a 30-50 record so far this season with an 11-28 record on the road. The Denver side has a 4-6 record in their last 10 games. The Clippers hold a 54-26 record so far this season and this includes a 29-11 record at home. They have been impressive form of late with a 9-1 record in their last 10 games. With respect to average points for, the Clippers lead 106.6 to 101.1 and the Clippers also lead for average points against, 100.1. to 104.6. This is a game that the Clippers need to win but there are some decent odds for the Nuggets with a large positive handicap, and this could be worth looking out for. Bet Now! The Cavaliers were home and hosed when they game a number of key players the night off on Sunday, which had a lot to do with the Celtics grabbing a 117-78 win. The Cavs went into the game with LeBron James, Kevin Love, Kyrie Irving and JR Smith all sitting it out. With the Cavs also resting players and playing within themselves during the Friday night loss to Boston, it is fair to say that the Celtics have benefitted from the timing of their games against a team who has run opponents ragged at certain points of the season. However, it has been a very lopsided season for the Cavs and they will have to be careful about looking to turn on and turn off performances at will, something which isn’t always possible. It may well be that the two wins for Boston will be the key factor in pushing them into the playoffs and back into the path of the Cavs. This will be the real test for the Cavaliers but even in this game, they will be looking to avoid losing three games in a row, a feat they have avoided since their terrible January slump. After this game, the Cavs take on the Wizards at home on Wednesday night. The Pistons hold a 31-49 record so far this season and this includes a 13-26 record on the road. They have a 5-5 record in their last 10 games. 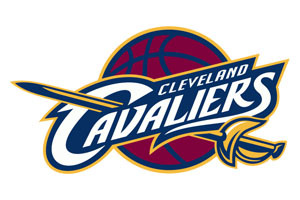 The Cavaliers have a 51-29 record, which includes a 29-10 record at home and in their last 10 games, the Cavs are 7-3. For average points scored, the Cavs are 102.9 to 98.4 and for average points against, the Cavs are 98.6 to 99.5. This is a difficult one to call as the Cavs seem intent on resting players, so it may be that the Pistons will be in the running for this one, finding a modest positive handicap should provide you with a good way to get involved with this game. Bet Now! The Bulls are still looking to tie up their playoff position but they managed to bring Derrick Rose back into the team, which could be a huge step for the Chicago side. They face a Nets team who are desperate to grab a playoff spot but with the Bulls standing level with the Raptors in the Eastern conference at the moment, they need to win. Knowing that the Raptors lead the tie-breaker is a concern for the Bulls, and they will be keen to get ahead of their Canadian rivals. This game and a game against the Hawks round out the Bulls regular season schedule and while these games are difficult, there may be a chance that the Hawks will play an under-strength team as they look to the playoffs. The Raptors face the Celtics and the Hornets before they wrap up. No matter where they end up, the return of Rose will boost Chicago and he was in good form on Saturday, offering up 22 points and 8 assists in the comfortable win over Philadelphia. The Nets are one game off the seventh placed Celtics and they level with the Pacers, but they know that they hold the tie-breaker over the team from Indiana. The Nets know that if they lose or if the Celtics win would push 7th place out of reach, so they need to be at their best in this game and against Orlando on Wednesday. The Bulls hold a 48-32 record so far this season, and this includes a 22-18 record on the road. The Bulls are 6-4 in their last 10 games. The Nets are 37-43 this season and this includes an 18-21 record at home but the Nets are 7-3 in their last 10 outings. The Bulls are leaders for average points scored, 100.8 to 98.1 and also for average points against, 98.1 to 100.9. Taking the Nets with a +1 handicap could be a good way to get this week off to a positive betting start. Bet Now!